The Trudeau Measuring set includes all the necessary cups and spoons to measure your ingredients. It also includes as leveler to smoothen out icing. 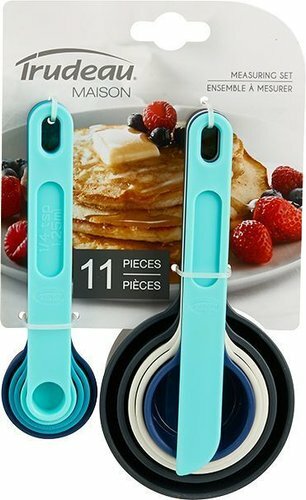 These cups and spoons are made using PP Plastic and is suitable for the dishwasher.